Generally speaking, house groups begin with a time of fellowship, where we discuss the week's events while enjoying a cup of tea and a biscuit. 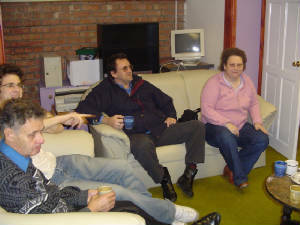 Then there is usually a time of discussion based on a Bible passage or a chapter of a book that the group is studying. The meetings usually close with a time of prayer. 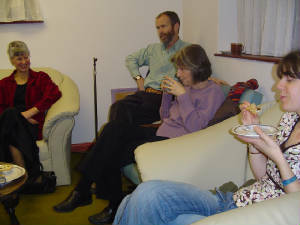 Small Groups are small informal Bible study groups,which are there to provide an opportunity to have fellowship together and to learn more about God's plan for our lives. There are currently two groups, which meet as stated below.